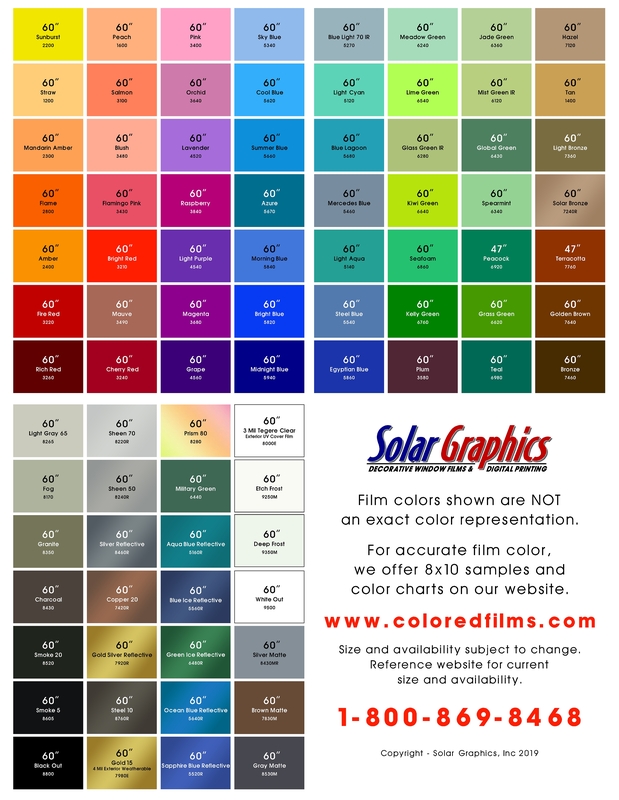 90+ professional grade, transparent, translucent and reflective PET window films. 30 year field tested. 10 year limited warranty for interior applications with direct sun exposure on glass. 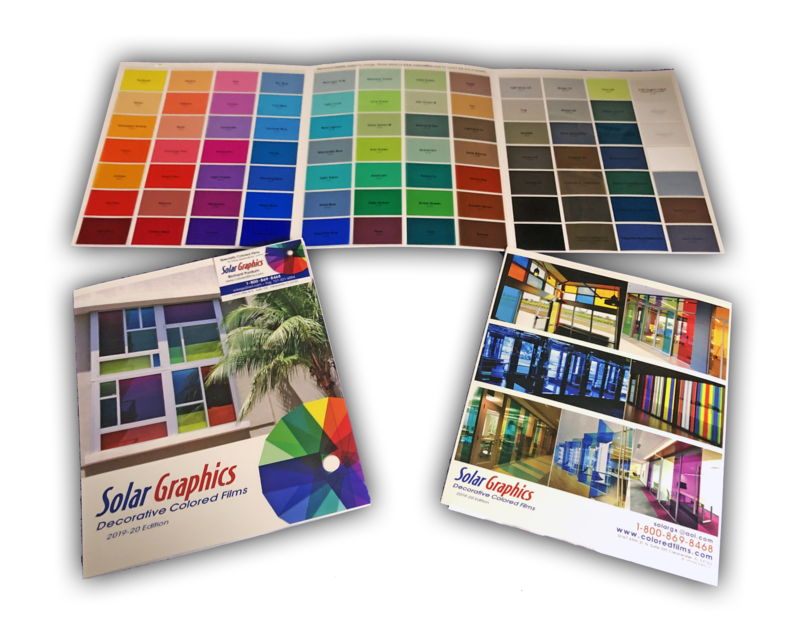 If you have any questions, contact Solar Graphics Inc. to review your project requirements and suitability.